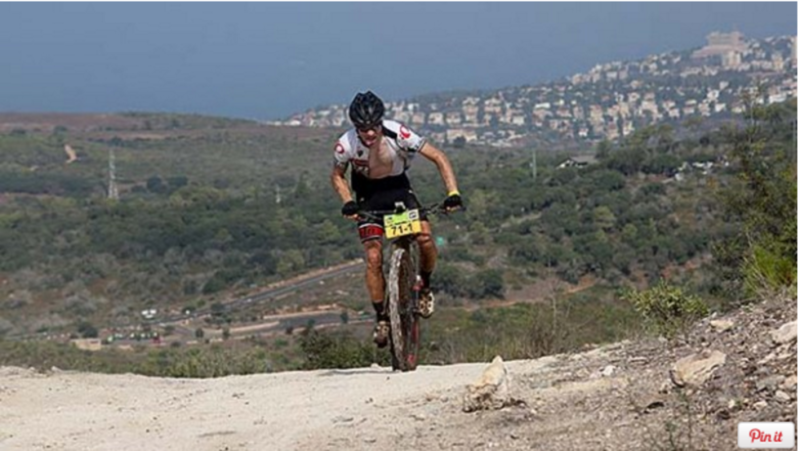 Israeli singletrack doesn’t carry the same trail cred as Squamish or Moab. But with miles and miles of magic Velcro dirt that begs to be taken at high speed, scattered among some of the earliest and holiest sites of human civilization, Israel is a bucket list-worthy outdoors destination. I had far fewer real reservations. Yes, it’s the Middle East, where conflict is a near constant in daily life. But safety is relative and increasingly feels like an illusion pretty much anywhere in the world, whether here or abroad. I was going to Israel and I wasn’t going to worry about it. The first morning, after a post-flight evening of red wine on the South Beach–like shores of Tel Aviv, we joined our tour guide Nimi Cohen for an urban adventure that included a spin down the ancient cobbled steps of Old Jaffa, an ancient port overlooking an outcropping of rocks where Perseus is said to have rescued Andromeda. We then reversed direction and spun to Tel Aviv port, over the undulating wooden deck and out along the Yarkon River trail, where we passed climbing walls, petting zoos, and Yarkon Park, where road racers enjoy high-speed crits and the local cyclocross series is held. In all there are 61 miles of bicycle paths though Israel’s second most populous city. Riding back, Nimi paused by a simple iron sculpture of a man and woman along the path, his eyes darkening like the overcast morning skies. “So, Israel is a complicated place. Among our daily life, we have conflict.” He pointed to the seaside building behind the sculpture. “This is the site of the Dolphinarium discotheque suicide bombing, where a member of Hamas blew himself up and killed 21 Israeli teenagers waiting in line for the nightclub.” The sculpture’s sign reads, “Still, we dance.” Maybe this trip wouldn’t be as simple as enjoying pristine singletrack. Later we stopped for espresso, and Nimi said, for not the first time, “When it gets crazy, we ride. The crazier it gets, the more we ride.” Which felt like the appropriate send off for the start of the race itself. I’ve had the pleasure to race in a few extraordinary places — South Africa, Brazil, and British Columbia, to name a few. During these events, I often inwardly bemoan that I have to keep going so fast when I’d rather slow down and soak up the environment. Despite stunning desert scenery, I hardly felt that urge during the Epic Israel race. The trails were so damn fun and flowy and fast, I wouldn’t want to take them at any speed but race pace. Mountain biking is a big deal here, and they take their singletrack very seriously. 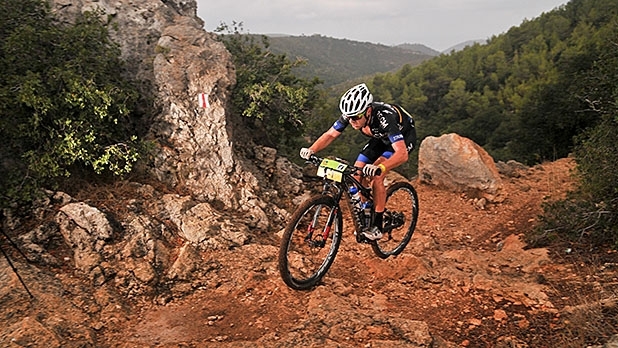 Unlike the U.S., where wilderness users are locking horns over whether hiking boots and bikes can co-exist, many of Israel’s hundreds of miles of singletrack are built specifically for riding. During the first two days, the racecourse treated us to the long rocky, rolling hills of the Horshan Mountain Reserve and multiple trips up Mount Carmel, where you soak in a panoramic view of the Izrael valley to the east, Zvulun valley to the north, Mediterranean Sea to the west, and the downhill slope of Mount Carmel in the south. 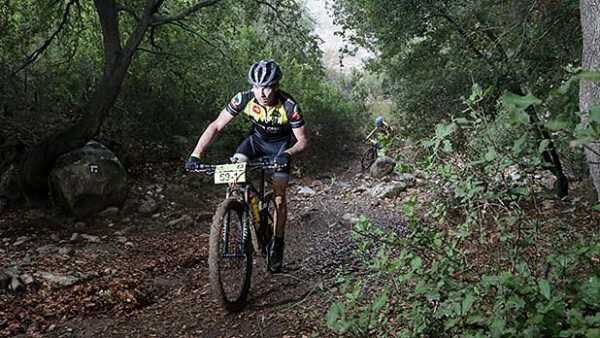 The final stage was a raucous ride through the technical singletrack of Mishmar Haemek forest, finishing with a roller-coaster ride of endlessly sweeping, swooping, lightning-fast hardpack. We did make it to Jerusalem, which is a heady, dizzying juxtaposition of new world fashion shops and Jersey Shore–like T-shirt stands (where you can get a Guns ‘n’ Moses decal on the tee of your choice) blocks away from the Wailing Wall, the Church of the Holy Sepulchre, and the Dome on the Rock. Some people are there for the shopping, others prostrate themselves with covered heads and shrouded shoulders, bowing, chanting, and praying. Walking tour complete and Sugar Trail ride aborted, we concocted plan B: a journey to Adulam-France Park, home to the 23-kilometer Kanin track. The dirt here was magical, coffee-colored, and so grippy you barely bothered with brakes as you carved through corners at speed. It was punctuated by patches of flowy limestone bedrock with rock features that got your heart rate up without sending it sinking into your stomach, or you over your bars. Everyone related to that. Everyone also related to the thirst to get a beer after our three-hour adventure was done. We headed to Srigim Brewery, founded by a couple of IT guys, Ohad Ayalon and Ofer Ronen. The two were so enamored with their first sampling of a real craft beer during a trip to the States that they quit their jobs and started brewing, including their signature namesake Ronen HaKeha MaMerusha’at (The Wicked Dark). I had the Cheeky Wheat, which was brimming with floral and clove and banana. On the plane home, I’d realized my simple story was far from it. What would I write about a place that was at once dark and heavy, somber and conflicted, yet buoyant, cosmopolitan, and just plain fun? I laughed at the flubbed idiom, but took the underlying message to heart. I was struggling to divorce the riding from the politics, but I can say this: I’m glad I went and think more people should. You can’t ride through a countryside without picking up the history along with remnants of the soil. You see it with your very eyes — temple domes and mosques that have stood for centuries and still have the power to bring modern men and women to their knees. It changes you and stays with you. Even as some academic groups have called to boycott Israel, I don’t regret going. It isn’t that you’re making a political statement or picking a side when you mountain bike in Israel anymore than you’re supporting shantytowns when you ride in South Africa. You’re going to ride your bike, yes. But you’re also going to see a part of the world that shapes our headlines and our politics. But what is complicated can be distilled down to a simple experience. On a Sunday morning when you can’t solve the world’s problems, you fill bottles, stuff your pockets with figs and dates, and drop in for a long ride. That’s universal.